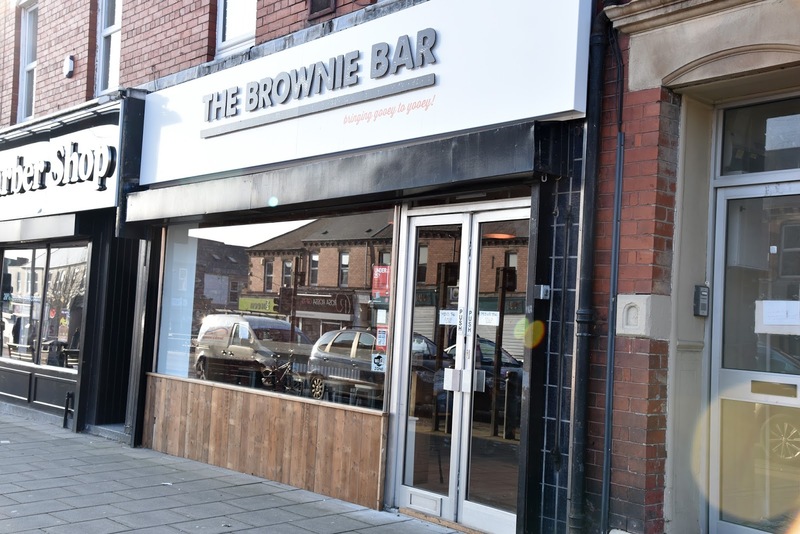 If you haven't seen The Brownie Bar somewhere in the North East I'd be very surprised! They're at nearly every good food market and have a little spot in Eldon Garden. They've also just recently opened up shop on Chillingham Road. We've had many a brownie from here over the years so when I saw this had opened I knew I had to go and check it out! 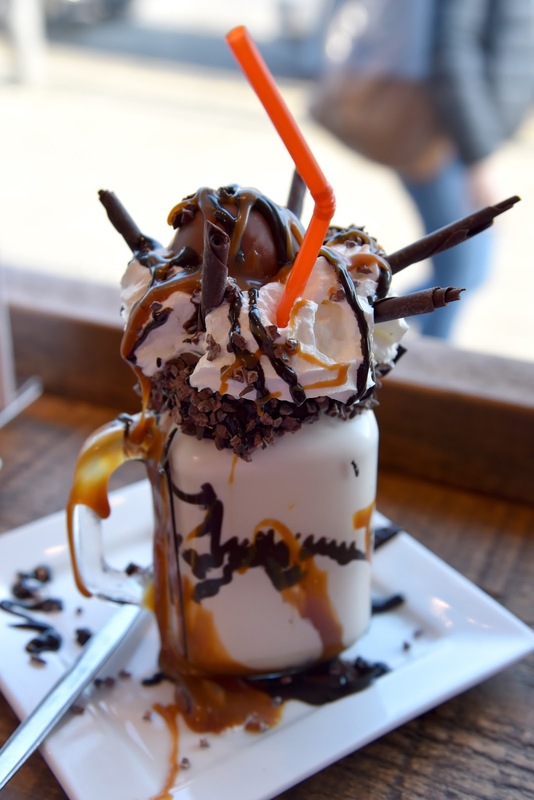 Something that's become pretty trendy recently is the freakshake! It's basically a milkshake x100! 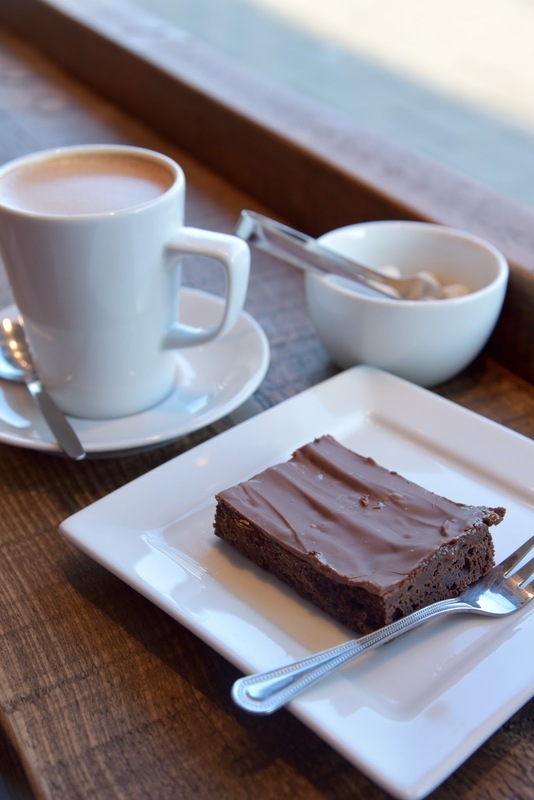 The Brownie Bar have jumped on this trend with a few delicious sounding options! I decided on The Bomb, which is usually chocolate ice cream milkshake, salted caramel sauce, chocolate sauce, salted caramel brownie bomb. 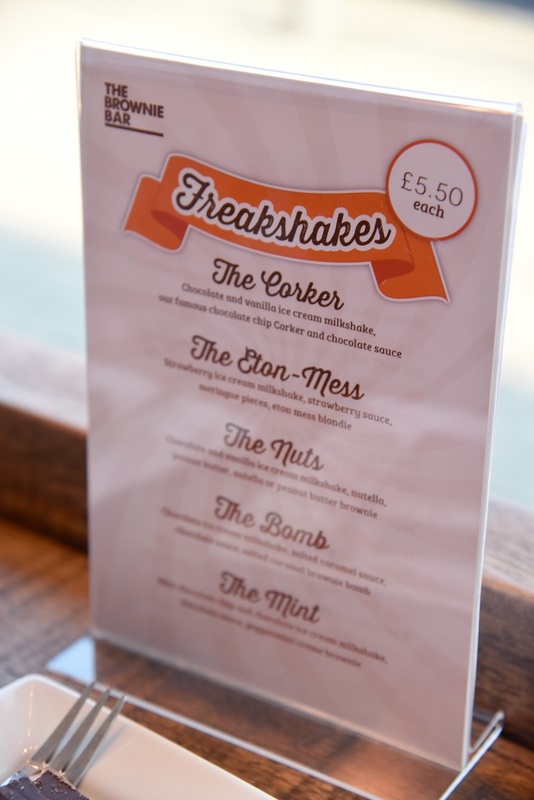 Unfortunately they didn't have any chocolate ice cream left, I was a little disappointed as it was only midday and all but one of their freakshakes use chocolate ice cream! Nevertheless they offered to make it with vanilla ice cream instead, it really was a showstopper, totally delicious, loads of sauce and cream, the brownie bomb was really nice too, although the salted caramel sauce was very salty it nearly knocked me off my chair! I think I fancy trying The Eton-Mess next time! 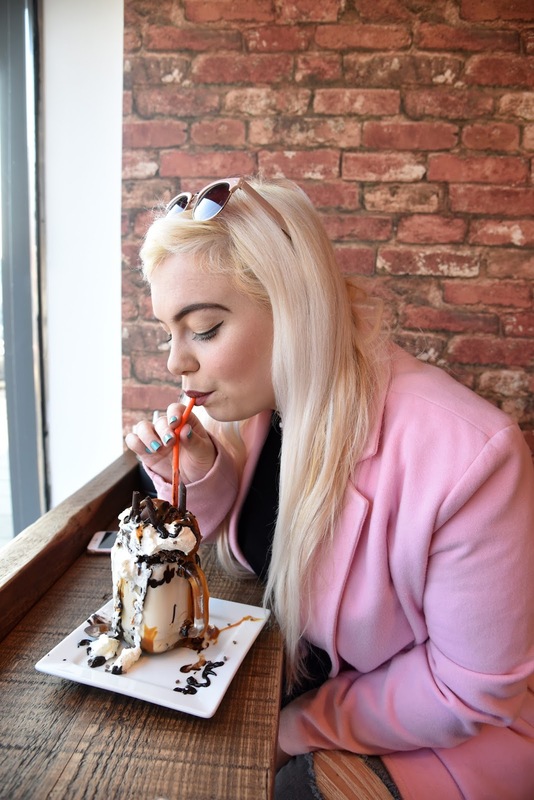 Although my freakshake had a brownie bomb in it I couldn't resist a proper brownie too, although I did end up taking half of it home I was in a pretty serious sugar coma by this point! 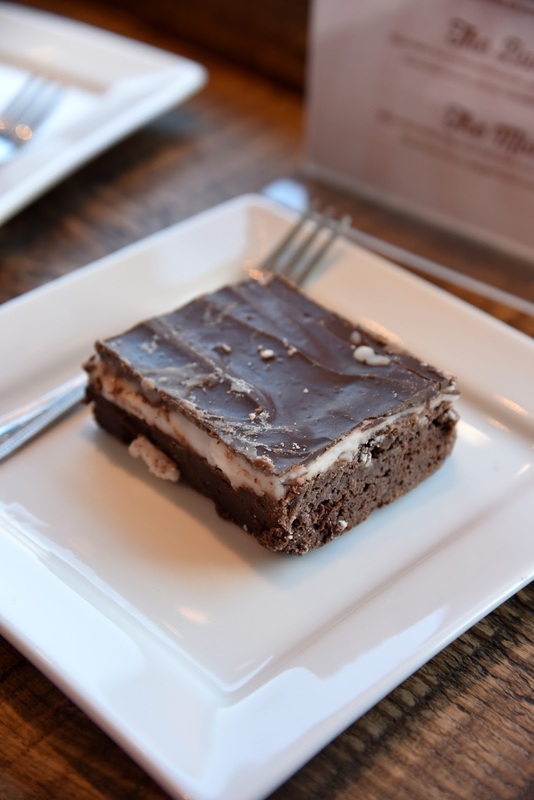 I decided on a peppermint brownie was was really nice, it had a layer of mint and chocolate on top of the brownie like an after eight. My mam went for the millionaires brownie which was chocolate and caramel brownie goodness, she's not a massive brownie person normally but she thought hers was delicious and really enjoyed it. The spot is definitely the right place to stop off if you've been browsing Chilli Road, I'm a charity shop fiend so this is perfect. I can see lots of people popping in here for a treat who live near too. I didn't manage to get any photos of the inside but it's really nice inside with lots of wood furnishings. 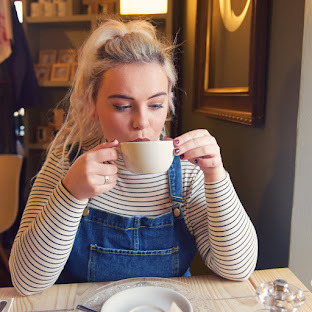 I wish they'd had a couple of small two person tables that weren't up on high stools, as their regular tables were quite large, I've only got little legs! 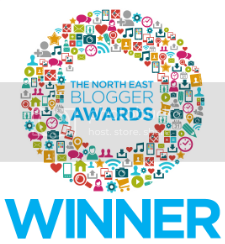 I'll definitely be popping back in here for another treat! Their freakshakes look insane!!! I've been wanting to go for ages!